The 2018 scholarship recipients are pictured above. The HACC Medical Scholarship Fund was created in 2011 to show appreciation and thanks to the many CMH employees that have supported and still support the fund raising events of the Health Alliance. The Health Alliance raises money with their Book Fairs, $5 Jewelry Sales and the annual Holiday Ball and Auction. 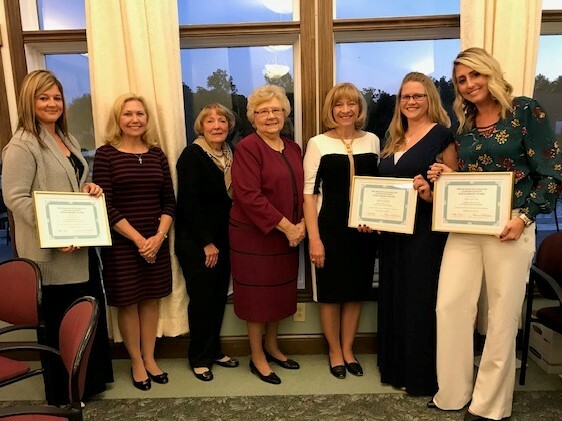 That money is used to assist patients through the Community Care Hospice, Heather’s Hope, Clinton County Health Department Children’s Immunization Program, Cancer Patient’s Assistance Program (CPAP) and to help support the HACC Scholarship Fund. Another way someone can donate money to THACC is through the Kroger Community Awards Program. Go to: www.krogercommunityrewards.com. After signing in, find us (THACC) The Health Alliance of Clinton County (our group number is 82487) select us to receive the awards and then click the dot to save the changes. Kroger’s will donate a portion of the amount you spend at Kroger to our organization.